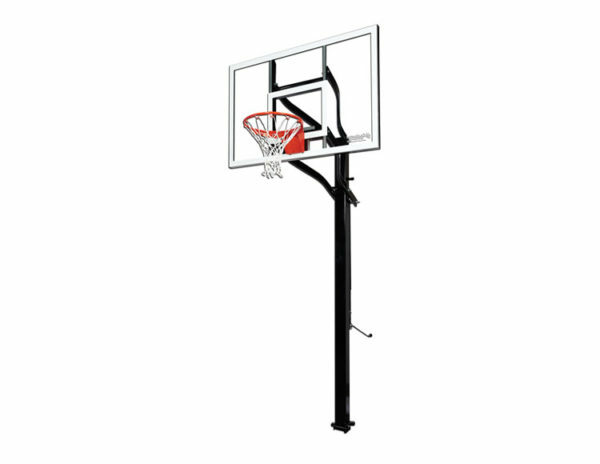 The Goalsetter X560 Glass in-ground basketball system provides a mid-sized goal packed with features like a 38-in x 60-in tempered glass backboard, a 5-in square steel pole and 3-ft of play area. The straight-pole, tension jack design features die-formed extension arms, a ground anchor and a 90-degree adjustment handle. Get in the game with the Goalsetter X560. This in-ground basketball system is designed to bring the game and the court right to your very own driveway. Featuring die-formed extension arms, a 90-degree adjustment handle, and a patented ground anchor for stable installation, this set has the technology want at a price you can afford. 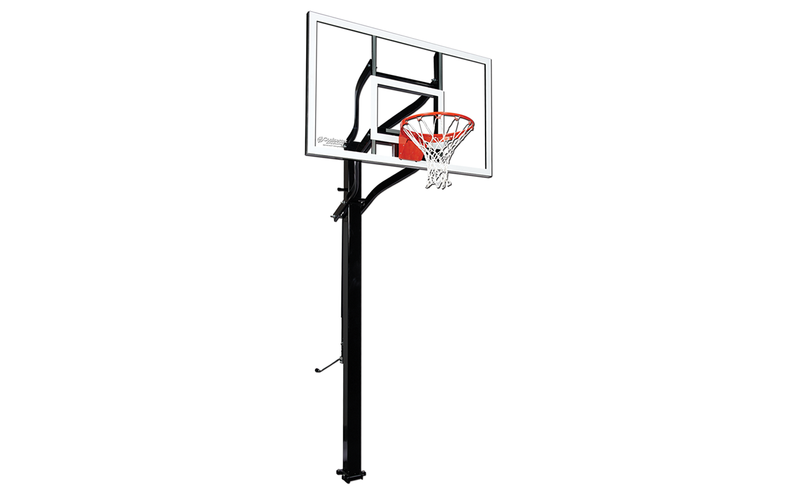 Complete with a competition tempered glass backboard and a 3-foot regulation play area. Adjustable height mechanism accommodates players of all ages.